You’ve spent a fortune building your home, and there are so many memories, and prized possessions that you’ve collected over the years. Did you ever stop and think if they are protected? Is your home ready for a potential break-in? If not, this is a good time to start assessing your home security, starting with the basics – locks. The very thought of being burgled can make anyone uneasy. Thus protecting and safeguarding your home from potential threats is crucial. 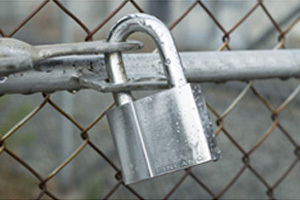 After all, if you have a sturdy lock fitted on your external doors, most thieves would find an easier target to rob. At Safe Lock Solutions, we offer a complete line of residential locksmith services that will enhance your home’s security and deter thieves from attempting to break-in. 360 Degrees Protection at Affordable Prices! We take pride in the quality of service that we provide, along with a top-notch range of products. From security inspections to repair and replacement of locks, to emergency lockout services, our diligent and hard working staff carries out each job quickly and efficiently. What sets us apart form our competitors is that we offer the most competitive rates, without sacrificing the quality of work that we deliver. Wide Coverage, Round the Clock Operation! No matter which part of the Liverpool area you’re in, or the time, our safety and security services will provide you protective solutions to safeguard your home and belongings, so you don’t have to worry. We have extensive knowledge and experience in keeping properties safe 24 hours a day, 7 days a week and 365 days a year! Call us to schedule an appointment with one of our experienced engineers, and regain your peace of mind. At Safe Lock Solutions, we offer a fast response emergency service, as well as, non-emergency services. Our technicians are on-call so we can provide quick assistance when you need it. 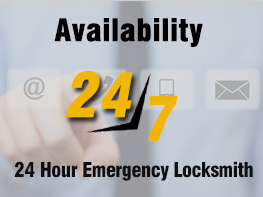 Our operators are available 24×7, to guarantee that you’ll never find yourself locked out for long. Our fully equipped emergency team will arrive within the hour. We’ve helped thousands of satisfied customers to date, and we are looking forward to helping many more. If you are looking for affordable and reliable residential locksmith in Liverpool, look no further! Give us a call today 0151 515 0123.